Part of living a well-balanced life is incorporating items that bring comfort and joy to your everyday life. From meditation apps to a luxury splurge, discover some of my March lifestyle favorites. Meditating is something I try to incorporate into my morning and self-care routines. One of the things I like to use for meditation is an app called Insight Timer. 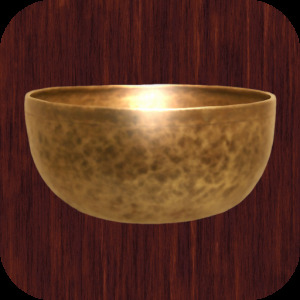 This app is perfect for creating a tranquil environment with over 3 million meditations to choose from. Some of the features I really enjoy are the self-guided meditations, nature recordings, and motivational interviews. If you are looking for a great way to begin your day, relax after work, or even study give Insight Timer a try. Protein bars are hit or miss for me, and I’ve tried several from various brands. The thing I dislike about most protein bars is the artificial sweetener aftertaste. Last month I discovered a brand called One which makes some of the best-tasting protein bars I’ve tried. My favorite is birthday cake which is both delicious and a good source of protein when you’re on the go or working out. Reading is one of my favorite hobbies and ways to relax. Over the last year, I’ve really enjoyed reading personal development and inspirational books. One my favorite books I’ve recently read is When Breath Becomes Air. This is a book that will change your perspective on life and is a must-read. I won’t give too much away, but I do suggest having a box of tissues next to you while reading this very inspirational story. If there’s one luxury I love in life it’s splurging every now and then on a new perfume fragrance. Le Labo is a brand that has quickly become one of my top luxury favorites to recommend. I’ve tried several of their fragrances and one of my favorites is Lys 41, a luxurious blend of jasmine, tuberose absolute, lily, vanilla Madagascar and musk. The combination of these notes creates one of the most unique scents I’ve come across and most importantly, maintains its scent longevity. Feel free to share some of your favorite health and lifestyle products in the comments below. This is such a great idea for a post and that bottle is too cute! Glad you liked it 🙂 Le Labo is definitely one of a kind! Interesting round up. Thanks for sharing.